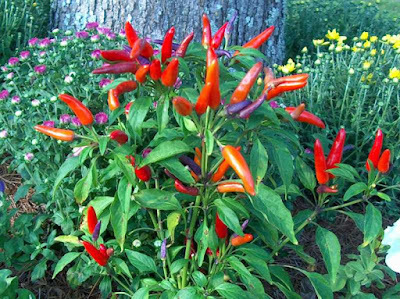 Cayenne Pepper (Capsicum Annuum) other names: African Bird Pepper, African Chillies, African Pepper, Aji, Bird Pepper, Capsaicin, Capsaïcine, Capsicum annuum, Capsicum baccatum, Capsicum chinense, Capsicum Fruit, Capsicum frutescens, Capsicum minimum, Capsicum Oleoresin, Capsicum pubescens, Cayenne, Cayenne Fruit, Cayenne Pepper, Chili, Chili Pepper, Chilli, Chillies, Cis-capsaicin, Civamide, Garden Pepper, Goat's Pod, Grains of Paradise, Green Chili Pepper, Green Pepper, Hot Pepper, Hungarian Pepper, Ici Fructus, Katuvira, Lal Mirchi, Louisiana Long Pepper, Louisiana Sport Pepper, Mexican Chilies, Mirchi, Oleoresin capsicum, Paprika, Paprika de Hongrie, Pili-pili, Piment de Cayenne, Piment Enragé, Piment Fort, Piment-oiseau, Pimento, Poivre de Cayenne, Poivre de Zanzibar, Poivre Rouge, Red Pepper, Sweet Pepper, Tabasco Pepper, Trans-capsaicin, Zanzibar Pepper, Zucapsaicin, Zucapsaïcine. The famous spice called the cayenne pepper is a type of pepper species that is native to tropical America. The cayenne pepper is a perennial herb when grown in natural conditions in tropical areas of the world, however, cayenne pepper can also be cultivated as an annual plant in areas outside the tropical zone - the cultivation of this herb is carried out as an intense commercial activity in many tropical and sub-tropical regions of the world. The cayenne pepper is characterized by having a glabrous stem, the stem is woody at the bottom and branched near the top, the cayenne pepper can reach a height of three feet or more when fully mature. The cayenne pepper also has ovate to lanceolate shaped leaves, the leaves are entire and bear a petiole. Between the months of April to September, the herb bears white to yellow colored flowers which can grow singly or even in pairs of three each. The source of the commercial cayenne pepper is the ripe fruit, this fruit is a multi seeded pod or pepper which is characterized by having an external covering which is leathery; it comes in various shades from red to yellow. Commercial chili comes in many varieties and forms, the more famous ones are from areas around California, they are the jalapeno, the serrano and the yellow wax. All chili varieties have the hot tasting and fiery property because of the presence of a chemical compound called capsaicin in the fruiting body. The chemical compound called capsaicin is the main active ingredient in cayenne pepper and all other chili peppers - this compound is responsible for the “hotness” associated with chilies. The presence of this compound is responsible for the fiery kick present in Mexican food, the capsaicin is responsible for turning the plain pickle juice into the sauce known as Tabasco, the capsaicin is the active compound that turns ginger ale into such a real thirst quencher, the strong flavors and spiciness of Cajun cuisine depends on the capsaicin of all the peppers used in cooking, capsaicin is what makes the famous curry powder such an ubiquitous and interesting general spice for a variety of cooking styles. The main action of the compound capsaicin lies mainly in its ability to initially stimulate the hypothalamus and then to actively desensitize the warmth detectors in the hypothalamic region - when the compound achieves both of these actions, it brings on a significant drop in the temperature of the body temperature. This ability of the capsaicin to drop elevated body temperatures is the main factor which allows natives in many hot southern climates such as the tropical countries in Central and South America and Africa, to tolerate the excessive heat in those regions a lot better than a native of a temperate region would be able to. 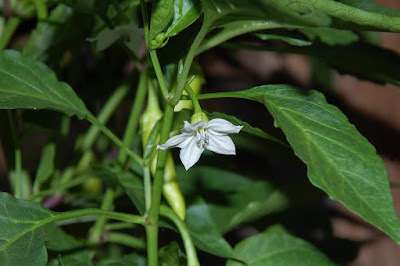 The amazing fact is that the reason for the heavy consumption of capsicum and chili peppers in tropical areas as an aid to keeping cool, this may sound incredible but it is a well known fact. Chemically, the molecular structure of the capsaicin compound is very similar to the structure of vanilla; however, the thermal rating of capsaicin is metaphorically speaking as hot as the molten hinges on the gates of hell itself. The ability of the cayenne pepper to boost up the body's metabolic rate has been suggested by the results of some of the more recent European studies, these studies also point out that the vitamin C levels in the body may also be boosted up by adding cayenne peppers to the daily meal. By an as yet unidentified pathway, the capsaicin is believed to be capable of revving up and "resetting" the body's "fat thermostats" controlled by tissues simply called "brown fat", this beneficial action allows the body to burn off excess fat through the act of metabolic chemical combustion, and avoids the storing of fat alongside the muscular tissues. Cayenne Pepper, also known as red pepper or chili pepper, is an herb. The fruit of the cayenne pepper plant is used to make medicine. Cayenne Pepper is used for various problems with digestion including upset stomach, intestinal gas, stomach pain, diarrhea, and cramps. Cayenne Pepper is also used for conditions of the heart and blood vessels including poor circulation, excessive blood clotting, high cholesterol, and preventing heart disease. Other uses include relief of toothache, seasickness, alcoholism, malaria, and fever. Cayenne Pepper is also used to help people who have difficulty swallowing. Some people apply cayenne pepper to the skin for pain caused by shingles, osteoarthritis, rheumatoid arthritis, and fibromyalgia. Cayenne Pepper is also used topically for nerve pain (neuropathy) associated with diabetes and HIV, other types of nerve pain (neuralgia), and back pain. Cayenne Pepper is also used on the skin to relieve muscle spasms, as a gargle for laryngitis, and to discourage thumb-sucking or nail-biting. Some people put cayenne pepper inside the nose to treat hay fever, migraine headache, cluster headache, and sinus infections (sinusitis). One form of cayenne pepper is currently being studied as a drug for migraine, osteoarthritis, and other painful conditions. A particular form of cayenne pepper causes intense eye pain and other unpleasant effects when it comes in contact with the face. This form is used in self-defense pepper sprays. Medicinal lotions and creams that contain cayenne pepper extract are likely safe for most adults when applied to the skin. The active chemical in cayenne pepper, capsaicin, is approved by the FDA as an over-the-counter product. That is, it can be sold without a prescription. Side effects can include skin irritation, burning, and itching. Cayenne Pepper can also be extremely irritating to the eyes, nose, and throat. Don't use cayenne pepper on sensitive skin or around the eyes. Cayenne Pepper extract is likely safe for most adults when taken by mouth, short-term and in amounts typically found in food. Side effects can include stomach irritation and upset, sweating, flushing, and runny nose. It is possibly unsafe to take cayenne pepper by mouth in large doses or for long periods of time. In rare cases, this can lead to more serious side effects like liver or kidney damage. Cayenne Pepper extract is possibly safe when used in the nose. No serious side effects have been reported, but application in the nose can be very painful. Nasal application can cause burning pain, sneezing, watery eyes, and runny nose. These side effects tend to decrease and go away after 5 or more days of repeated use. Pregnancy and breast-feeding: Cayenne Pepper is likely safe when applied to the skin during pregnancy. But not enough is known about its safety when taken by mouth. Stay on the safe side and don’t use cayenne pepper if you are pregnant. If you are breast-feeding, using cayenne pepper on your skin is likely safe. But it is possibly unsafe for your baby if you take cayenne pepper by mouth. Skin problems (dermatitis) have been reported in breast-fed infants when mothers eat foods heavily spiced with Cayenne peppers. Children: Applying cayenne pepper to the skin of children under two years of age is possibly unsafe. Not enough is known about the safety of giving cayenne pepper to children by mouth. Don’t do it. Damaged or broken skin: Don’t use cayenne pepper on damaged or broken skin. Surgery: cayenne pepper might increase bleeding during and after surgery. Stop using cayenne pepper at least 2 weeks before a scheduled surgery.